Aspect of Dry leaves: With stems. Color of tea: Dark yellow to orange. Aspect of open leaves: Red on the outside. Mostly hand picked. Dry leaves: hey, but not too dry. 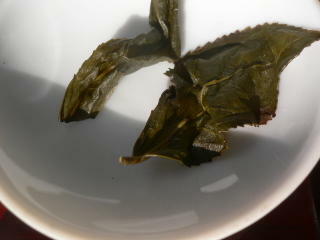 Warm leaves: some acidity. After a few brews wood charcoal smell. Dry glass: Heavy smell, like a ripe peach. Sweetness: yes, but not too much. Bitter/acid: Towards the end, some astringency on the teeth. Feeling in the throat: Dry, with peach feeling. Lingering dry feeling: medium to strong. Other remarks: The hong pei (baking) reaches 70%. Made by an older producer this tea is baked over wood charcoal, not in an electric oven like most do nowadays. 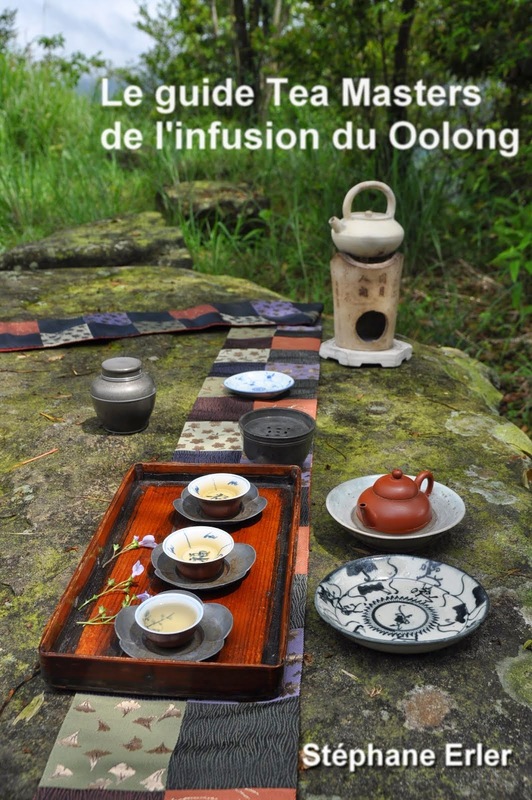 This tea is very good to feel and study the 'magic of hong pei'. 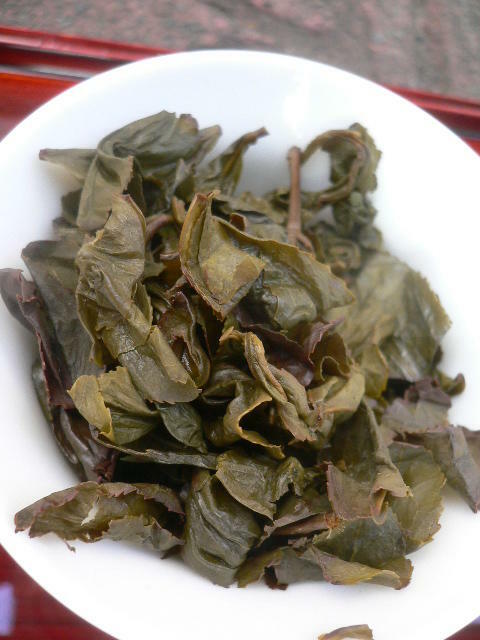 For me, this is a very good oolong in its category. Bought in a shop, this tea would be called "Dong Ding' oolong. I drink it during the week and at any time. 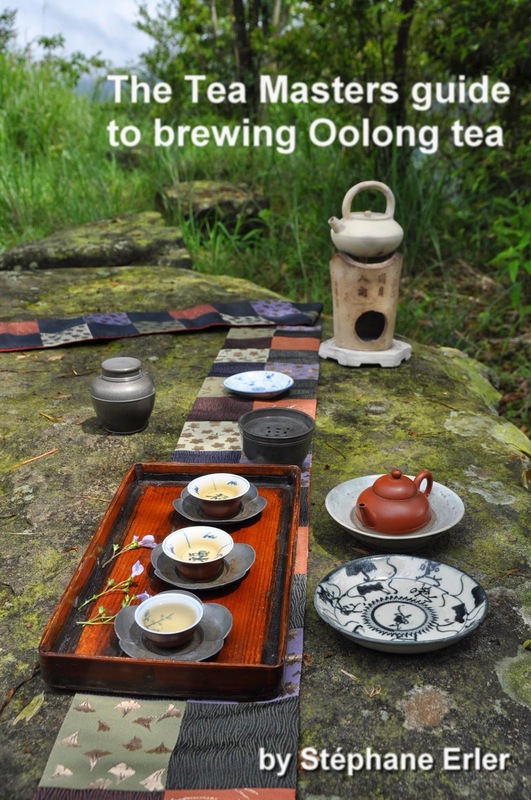 Since it's quite fermented and baked, it won't give a stomach ache (like some green oolongs).